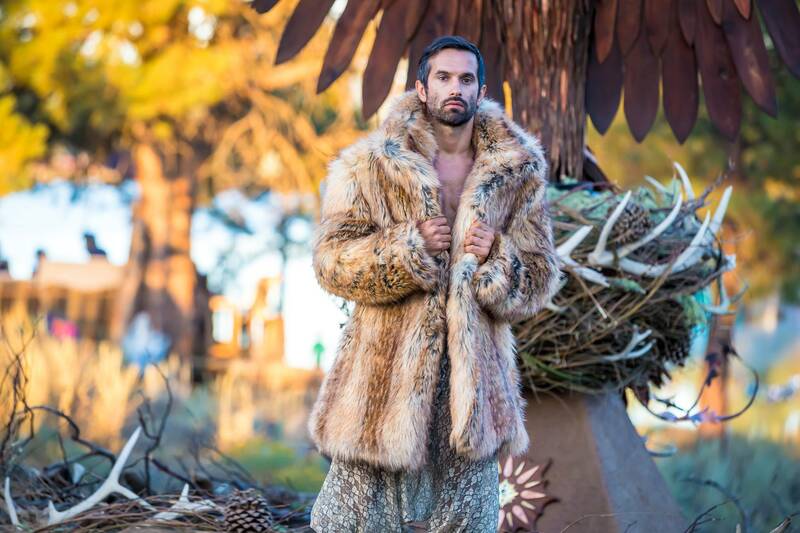 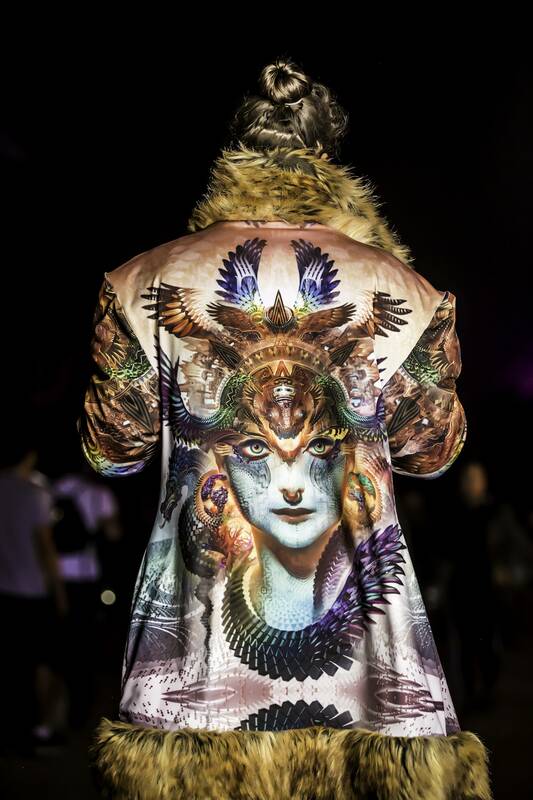 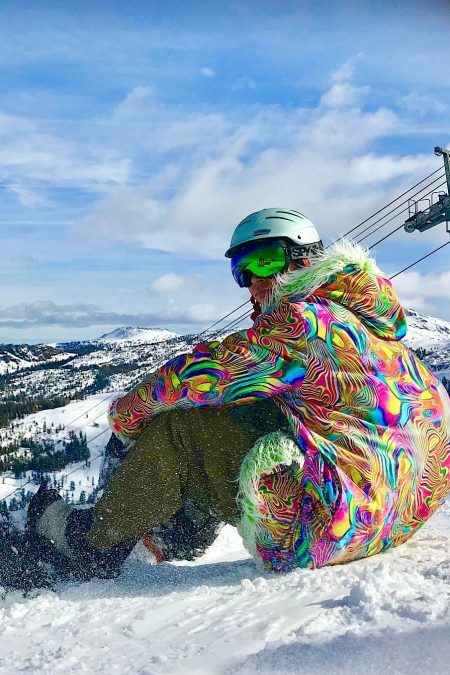 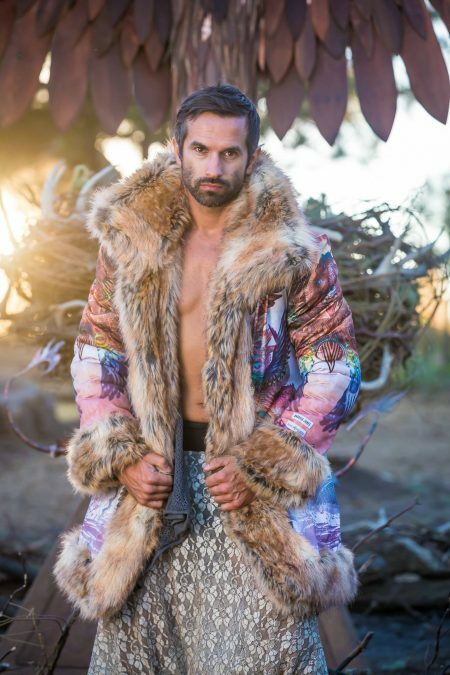 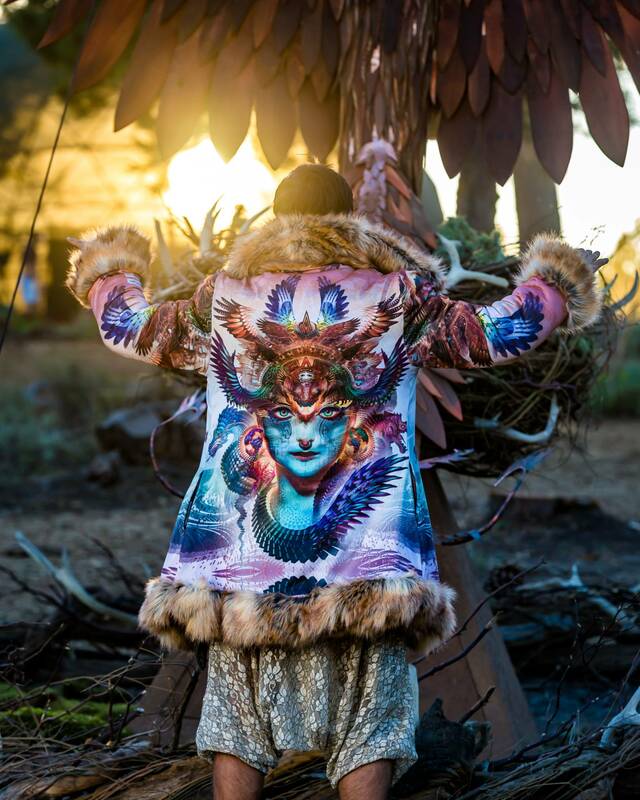 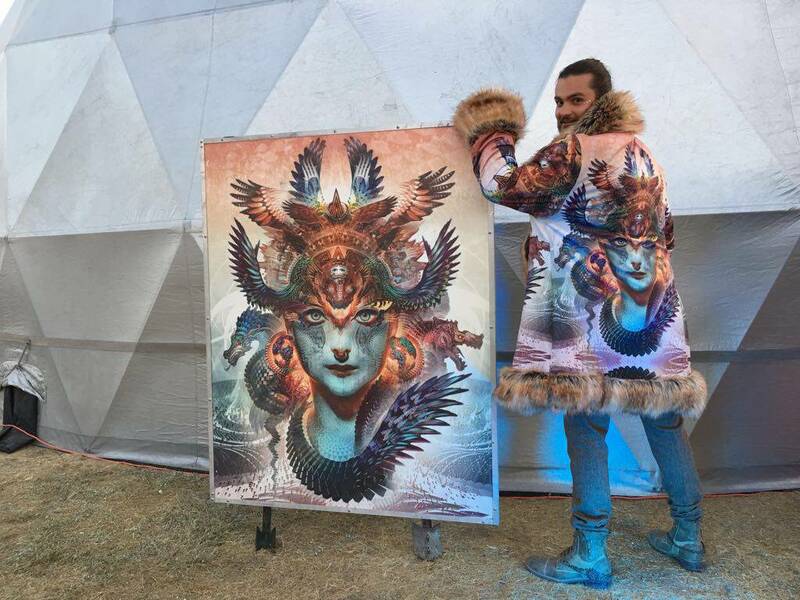 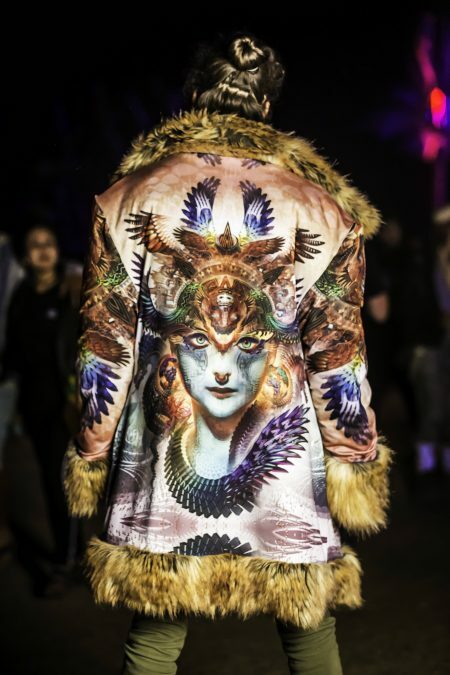 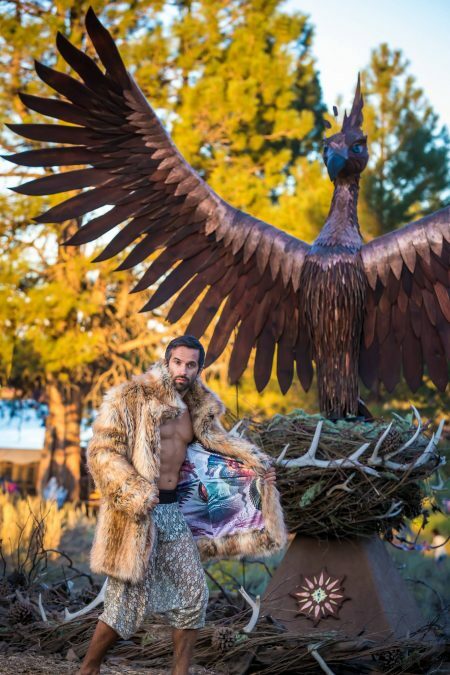 This Dharma Dragon fur coat is our collaborations with Android Jones. 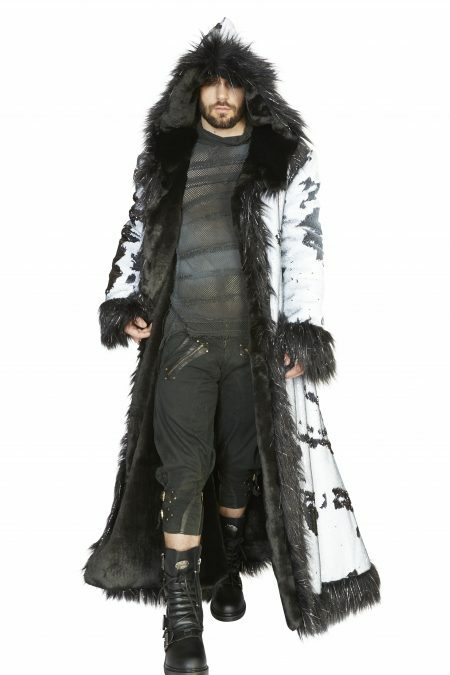 One side of the coat is made entirely from high quality faux fur, another from stretchy lycra with print. 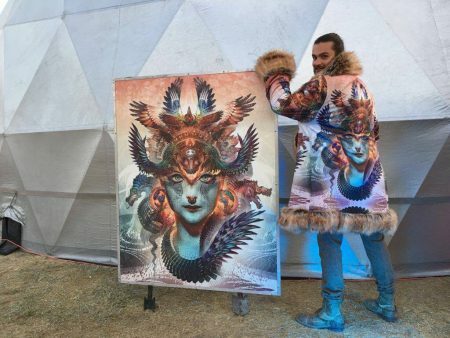 It is a very limited edition. 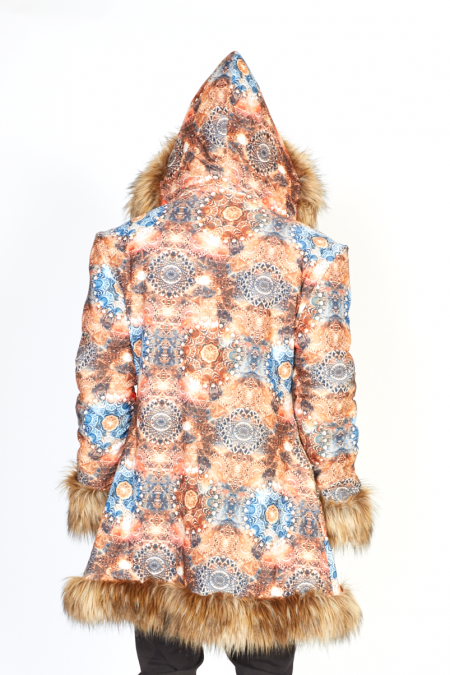 Each coat is numbered. 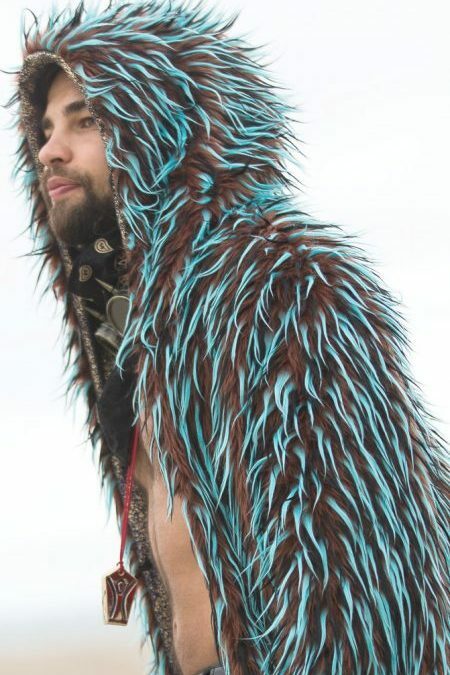 Dharma Dragon fur coat will be custom made for you in San Francisco. 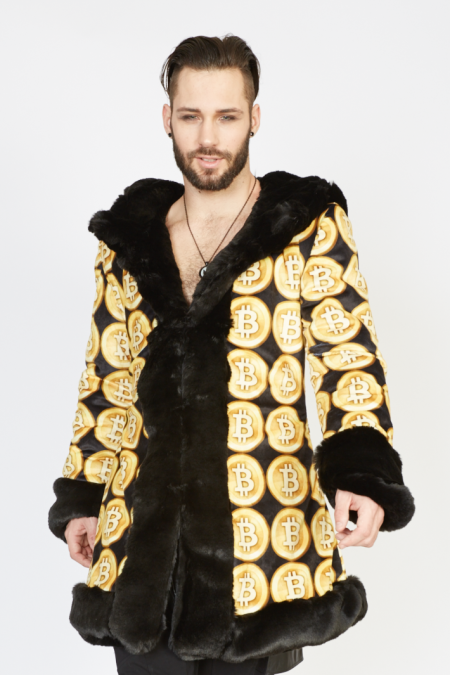 It’ll be ready in 3-4 weeks after the order is placed.